Custom Brochure printing at low cost comes in many different sizes and quantity. The full-color brochures printing are available in many kinds of folds including single-fold brochure printing, half-fold brochure printing and tri-fold brochure printing. The professional 8.5 x11 brochure printing displays your corporate information in a stylish way. The business flyers printing is one of the most cost effective way to spread information about your business to the clients. As a New York Local Printer, we provide our customers affordable brochure printing with the best quality to maintain the prices within the range of our customers' desires. 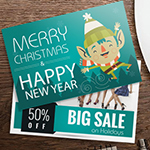 Our digital machinery also offers low cost 4.25x11" door hangers printing for motels along with fast brochure printing services to help both large and small businesses in low cost printing without spending too much money and time. With this low cost brochure printing service, one would be able to get cheap 8.5x11" club bash flyer printing for schools. Bring ultimate satisfaction to your prospective students by ordering our 11x17" brochures printing for Education. Entertainment Brochures Printing :The 8.5x11" music concert brochures are important to familiarize your clients with the services provided. Brochure printing in 100lb glossy text paper is considered to be the best paper for printing. The 4x6 full color post card printing provides the details about your business and any upcoming business event. Custom Brochure Printing can be printed from 100 to 15000 quantity. It is regular glossy paper stock. Its shiny finish provides an excellent thick base for color printing. This is a high quality, thick paper stock that is excellent for projects.Full bodied paper perfect for folding, coated with a glossy finish for better reflectivity and durability. Well suited for brochures, catalogs and flyers. Half-Fold A simple fold similar to a book creating two panels. Z-Fold Also known as an accordian fold creating 3 panels on both sides. Tri-Fold Also known as the letter fold, this is the most popular style for brochures. Creates three panels on each side. We have all the free online brochure templates you need to design any size brochure with a half fold, z fold or trifold. With Printing Xpert, you don't have to feel overwhelmed about your brochure designs. We have a team of talented designers who are ready to collaborate with you to create the brochure printing products you want without stress. Use our design services and send us your logos, slogans, ideas, information and more, then sit back and let the experts take it from there! We provide our customers brochure printing with three different sizes, 8.5x11 brochure printing, 8.5x17 brochure printing and 11x17 brochure printing. The brochure printing has three types of folding options from Z-Fold Brochure Printing, Half Fold Brochure Printing to Tri-Fold Brochure Printing. As a business owner in need of brochure printing, do you ever feel behind or out of the loop when it comes to identifying what exactly your print marketing company can do? Millions of brochure seekers have felt the same way over the years, but you don't have to be in the dark any longer. Everything you are thinking that they can do right now is probably true (and in fact there is much more to it than that.) All it takes is a simple phone call to pinpoint precise services, but here is a look at the most common ones across the board. Brochure printing starts with the design room, which means you should bring a few ideas to the table when working with your online printer to get them done fast. Custom brochures are the best way to get at your customers in a market that needs an increasing amount of different material in order to help drive the dollars to your company coffers. However you choose to do this is ultimately up to you, but there are a number of things that have worked well for people in your position in the past. Focus your efforts on these four things and watch as your target demographic heads for your front door. Enter online printing, where you can take advantage of the same professional 4-color products you have already been ordering for years, but with the added reinforcement of eco-friendly ingredients. 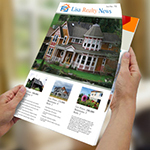 The colorful newsletter printing provides new products launch and events to the clients. There are a whole lot of benefits to actively pursuing a brochure printer with the business sense to go green. For starters, both parties (you and the printer) get a renewed sense of helping the environment when it comes to reducing pollution and other harmful emissions that the ozone layer could always do without, not to mention the lungs of everybody living within the city limits. Our Long Island printing company offers glossy brochure printing and we are here to announce great news of special discount rates for Local Customers. We are also famous for our full color post card printing in Nassau County. Customers are so delighted by our short run brochure printing work that our one-time customer is an all-time customer, and after every single job they are fully satisfied with any and all large quantity brochure printing. Their happiness and satisfaction make us the number-one online printing shop in New York. We provide special rates for small business brochure printing to people who are opening new businesses. 11x17 Brochures printing are an important marketing tool for any company or business. Through brochures, prospective clients or customers learn more about your business, services and specials. The effectiveness of your investment in brochure printing services is highly dependent on the company you choose to print your brochures. We are experts in low cost brochure printing, but we never compromise on quality or design. Brochure Printing are more attractive if printed using more than one color. 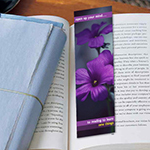 Custom Brochure printing is available as offset printing and laser or digital printing. At PrintingXpert, we print brochures to your specifications in color while offering considerable savings. And, as experts in printing brochures, we can help you choose the best format and design for maximum impact should you require assistance. If you choose to print low cost brochures with our printing company, make sure the company is a reputable company where you are sure to get your money's worth. We understand that our success is dependent on your success, that is why we use the best technology and the finest materials to bring you the best products at the lowest prices! 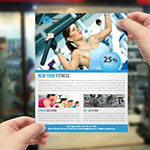 We truly are the experts in cheap brochure printing services. Our Brochure Printing company provides services nationwide, in all states: Alabama AL, Alaska AK, Arizona AZ, color business cards Arkansas AR, California CA, Colorado CO, Connecticut CT, Delaware DE, Florida FL, Georgia GA, Hawaii HI, Idaho ID, Illinois IL, Indiana IN, Iowa IA, Kansas KS, Kentucky KY, Louisiana LA, Maine ME, Maryland MD, Massachusetts MA, Michigan MI, Minnesota MN, Mississippi MS, business card printer Missouri MO, Montana MT, Nebraska NE, Nevada NV, New Hampshire NH, New Jersey NJ, New Mexico NM, New York NY, North Carolina NC, North Dakota ND, Ohio OH, Oklahoma OK, Oregon OR, Pennsylvania PA, Rhode Island RI, South Carolina SC, South Dakota SD, Tennessee TN, Texas TX, Utah UT, Vermont VT, Virginia VA, Washington WA, West Virginia WV, Wisconsin WI and Wyoming WY. "Woow!!! I should say that printing quality is the best. I am a businessman and i needed brochure printing etc from time to time. But the quality I found at printingxpert is the best. The customer service, turnaround time, prices, designing everything is great". You guys did great job for my brochure printing. I am really happy and wish you good luck. Fantatisco Omigo !! keep it up !! "Bravo !! My brochures were awesome!. Thanks"
It was a pleasure working with you guys. We appreciate the tremendous task done by you guys. The brochures came out great and I am in love with them. Thanks a lot! What is the difference between 80lb and 100lb Glossy Text Paper? The 80lb Glossy Text Paper is a lightweight paper stock whereas the 100lb Glossy Text Paper is a thick paper stock. What type of paper folding options do you offer for this product? We offer Z Fold, Half Fold, Tri-Fold, or none. It is regular glossy paper stock. Its shiny finish provides an excellent thick base for color printing. 20% thinner and lighter than 100lb paper. This is a high quality, thick paper stock that is excellent for projects. Full bodied paper perfect for folding, coated with a glossy finish for better reflectivity and durability. Well suited for brochures, catalogs and flyers. *Please note that not all folding types are available for all products.The available choices will be presented to you in a dropdown box. A simple fold similar to a book creating two panels. Also known as an accordian fold creating 3 panels on both sides. 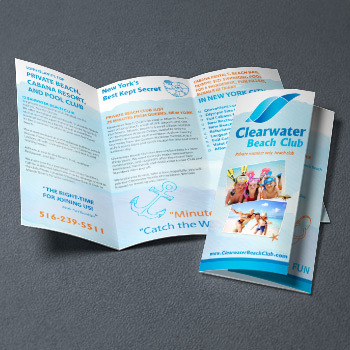 Also known as the letter fold, this is the most popular style for brochures. Creates three panels on each side. Product: Brochure, 8.5" X 11", 8.5" X 14", 11" X 17"